Mapping is, without a doubt, an important part of modern journalism. It’s a literal — and often beautiful — manifestation of the sense of place necessary for great storytelling. Maps help us understand complex topics like campaign ad buys, the demographics of the Catholic church and housing discrimination. The skills necessary to create maps like the ones I mention above are in high demand at news organizations of all kinds, and Google is a fantastic, non-threatening way to explore the possibilities of geography-based journalism. What does it mean for tomorrow’s newsrooms if women are sidestepping these tools? Even journalists with zero interest in building maps of their own must be literate in this kind of storytelling. Michelle Minkoff, an interactive producer for the Associated Press, says mapping requires collaboration among many members of a team. It’s complex, tricky work, but worth the effort. 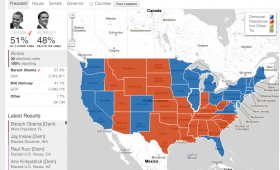 How important will maps be to online journalism? Why? As students, we grow up with maps, and I believe they are a visualization type that can be very comprehensible to the general public when used correctly…I can tell you there have been a lot of crime incidents, or you can see the plethora of dots and just how many there are. It’s a whole different angle on using facts. As technology develops, the possibilities explode. It’s also important to note that forms of visualization are many, and often, just because you CAN map a story, doesn’t mean you should. For more, see here. What kinds of tools do you use to create maps? I’m part of a talented team at the AP, and none of the pieces I’m about to discuss would be possible without my collaborators. It’s not about being a woman in tech, but working with a team where we operate on the quality of our work, not external factors. Often, we fill in the shapes with different colors to represent data. For this, we use ESRI shapes to get the actual data, Illustrator to style those files, Inkscape for further simplification of the shapes and Raphael to render it out on the page. Some internal tools also help this process along. While most of our published shape maps feature the US, we’ve created custom shapes for world countries. The other type of system we have is our zoomable map. Here’s how AP used it for the impact of Superstorm Sandy. Again, we use ESRI shapes to get the shapes of the world on the map, used Tilemill to style the background map and then the Leaflet library to make it interactive and put dynamic data on the map. 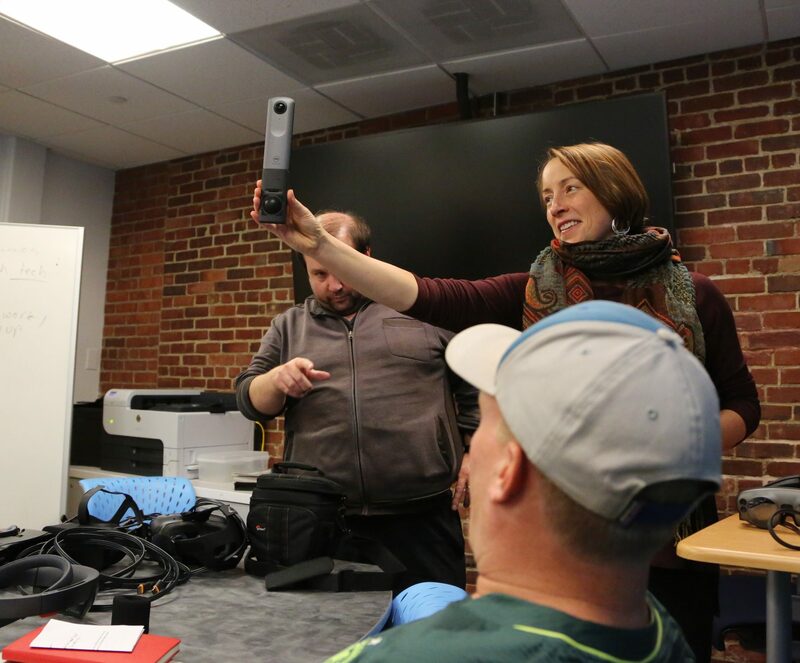 What can we do to get more women interested in tech, both in J-school and in news orgs? For students and practitioners of journalism, seeing examples of what’s possible, and then understanding how to get there seems like a good route. That means more courses introducing concepts via projects, which then teach concepts. Also, getting people excited about what they can do if they learn code. Just as importantly, female journalists must be given opportunity to recognize you will not be the only female techy journalist out there. Seek out the others, because there are many of us. And the best part of all is the journalism community is extremely welcoming, and that includes the men. I rarely think about gender on a daily basis, because we’re there to do good work. Always remember the mission of telling compelling stories. That is the end goal.